Getting ready to move out on the first race of the day. The Elite and Recreational races had starts for numerous board size classes and by gender. Almost a 100 racers stretched out across the Miami Financial District skyline. This epic event is the creation of Garry Menk and Ken Russell, exclusive Distributors for Jimmy Lewis Kite, Paddle, and Surf Boards for the US, Central, and South America. The Paddleboard Championship has taken a place in the events leading up to the Orange Bowl. Funds received in the event are donated to Big Brothers Big Sisters of Miami and the kids have a chance to paddle one on one with some of the great paddlers competition in the event. The seven mile Elite course, this day with winds from the SE at around 15 to 20 mph and a nasty chop. The racers really felt this on the long run to the south close to Rickenbacker Causeway. The three mile Recreational race. They were more in the lee for parts of the race but it was still challenging all the same. The Recreational racers make out of the marina and stroke south against the wind and chop. The only good shot I got of Jimmy Lewis but he is holding another brands board? Next time! Folks showed up early in some cases. Here Kent with Maui and Todd from ASM, JP Australia and Imagine Boards hang out and wait for the big paddle to go off. There were a number of water going dogs. This one keeps a weather eye astern. Lining up to start the men's Elite Race. Actually in the time it took to pan this series of shot you can see them starting off in the right side of this composite. These folks move fast and even though the photographers were in a powerboat, keeping up can be tricky. A lady train, paddling for bear. Dozens of racers stretching off into the far distance down into Biscayne Bay. Moving the photo boat out in front of the pack again. Candice Appleby strokes along with the USCG. *** The setting for the race is fairly amazing by its contrast. Makes for a target rich photographic shooting environment too. Mother and daughter paddle hard against some nasty chop and head wind. They were FAST though and you should have seen them cook once they turned downwind. Rounding the first mark, someone has to be first and it is Danny Ching. A panoramic view at the mouth of the Miami River where it joins Biscayne Bay. We'll be revisiting this area soon. Mark Athanacio books north to the Miami River after passing the mark. Helga Goebel ripping along into the wind and chop. Mary Anne Boyer (MAB) padding hard into the second leg of the race. Bailey Rosen drives hard throughout the race. of the Recreational Race show up in Part II. Last edited by RickI; 01-31-2013 at 02:49 PM. If folks are interested in higher resolution image file copies or prints, please get in touch with me at flkitesurfer (at) hotmail.com . Bayside Marina into Biscayne Bay. 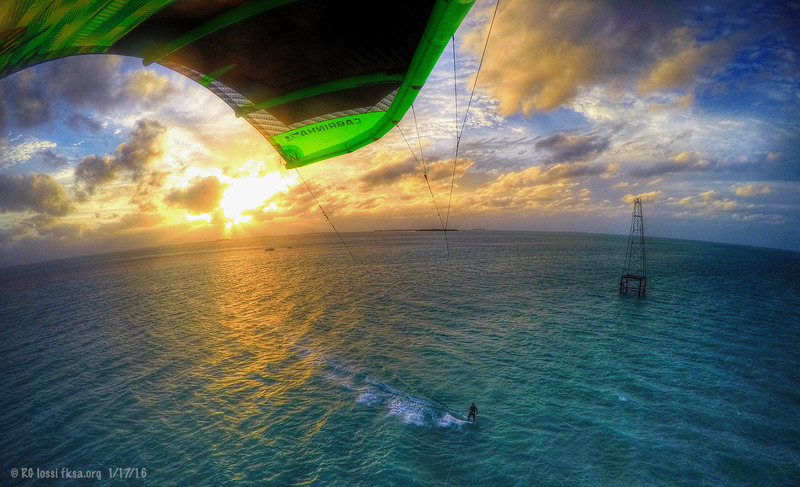 It was a composite of GoPro images. Thanks Clay, to all the racers and organizers! everywhere, it is in the book stores now so go get yours or even better subscribe to Standup Journal. The 2014 event is going off Sunday, January 12th, one week from tomorrow. Be sure to participate in this marvelous event.